We know when we lost or forgot Apple ID email or password, there is no way for you to download new apps and you can’t use the data in backup files. So the guide about how to recover forgotten Apple ID email and password is below. Step 1: Apple ID account is the e-mail account when registering ID binding. You can go to Apple’s website reset password ID password, open the Apple Apple ID management page. Step 2: After entering the site enter your Apple ID account name, select the reset password, and click next to continue. Step 3: Select the method to retrieve the password by e-mail, click on the next button. 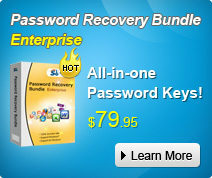 Subsequently prompted a used to recover the password e-mail message has been sent. Step 4: Open the mailbox, you will see an email in the inbox messages from used to reset the password from Apple, and if not, please check in the mail in the trash. Step 5: After open the message, click immediately reset the link in the message. Then reset password pages according to Apple ID password requirements, enter a second password, you can click on the reset password button. Step 6: If you are unable to find ID password, you can try to contact Apple customer service, apply for a replacement ID, but if the application is not approved, there is no way. Step 1: To my Apple ID and click the “manage your account”. Step 2: On the login page, click “forgot Apple ID?” Then fill in all required fields that may be associated with your Apple ID. Note: If you have more than one e-mail address to have Apple ID, please select a current or recent use email address. Step 3: Here you will see 2 options. Select “option 1” to request Apple sent an e-mail message, or “option 2” to answer security question when you initially create an Apple ID settings. Step 4: Through a link within an e-mail message or answering a security question, you can see the option to reset Apple ID password. Apple ID will appear in bold. That’s all steps for you to learn how to recover a forgotten Apple ID email and password in easy way. If the trouble to you is about iTunes backup password recovery, here you can try to use the tool-iTunes Backup Password Recovery to help you. iTunes Backup Password Recovery is such a tool that can help us reset iTunes backup lost or forgot password in quickest way.